Bravo Ink Cartridges are the favorite choice of professionals around the globe who believe in delivering the ultimate printing results despite using best quality printers and duplicators like Bravo XR and II introduced by Primera Technology. The people who have used Cartridges once say that there can't be another so simple and reliable discs printing ink cartridge module. These are easy to install as well as easy to refill. Even after refills, the quality of the prints remain same as it was with new cartridge. Cartridges refilling facility is available at all the leading stores at very reasonable rates. So, here too you save big. Pro Bravo combo pack containing 8 Ink Cartridges (5 Color-A07056 and 3 Black-A07057) is compatible with Bravo Pro Xi, Bravo XR and Bravo Pro series of disc auto-printers and publishers. Pro Ink is a great super saving pack ideal for the professionals who have large volume printing needs. If you already have Primera SE Publisher or Autoprinter, it can be upgraded to use high-capacity Bravo Ink Pro cartridges. Primera Bravo II / XR/ Autoprinter cartridge combo pack contains seven Bravo Ink cartridges (4 Bravo XR / II color - A07039 and 3 Bravo XR/ II black cartridge -A07040). Bravo Cartridge Bundle contains 5 Bravo ink (2 Black and 3 Color) ideal for Bravo, Bravo XR and Bravo II. For Imation D20 and Bravo SE, BVO53332, Bravo cartridge has become the most preferred choice of cost conscious professionals. 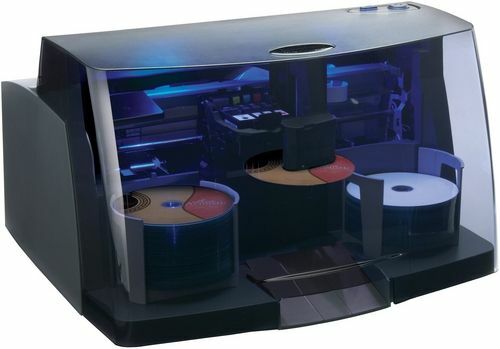 We are offering offers wide range of cartridge so you can pick the one according to the existing duplicator or printer. As all the ink cartridges are made in accordance to FCC norms, so there remains no doubt about the performance or life. Use of original Primera Bravo ink for refilling further ensures the prolong life of Bravo Ink Cartridges. Cartridge refill kit is easily available at most of the stores dealing in Primera products.